The use of anti-aging practices and treatments is what is known as body care. By taking care of your skin from head to toe, you help prevent the signs of aging to show off a more youthful and energetic-looking body. Body care is essential because it helps rejuvenate the skin. Aging might be a natural process filled with unsavory symptoms like sagging skin, wrinkles, fine lines, dark spots, and enlarged pores, but that doesn’t mean we have to endure it. Using the right products with the right, natural and probiotic ingredients, you can reverse the signs of aging to reveal healthy, younger-looking skin. Proper body care with products like these helps your skin repair itself to shine on with its own luminous beauty over time. Get the right combination of products to help elevate your skin to the next level. Firm it, smooth it, and turn back the hands of time on every part of your body. 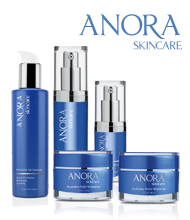 These body care products will help you achieve the youthful results you desire.